synergy2 is a comprehensive web-based solution for conventional and retakaful reinsurance operations, covering the end-to-end processing cycles for underwriting, claims, retrocession and accounting. The system delivers a single version of the truth across all operations supporting a complete suite of operational and business performance data analytics. Everything runs more smoothly when your operations are synchronised. synergy2 is a fully integrated reinsurance solution for the whole of your reinsurance operations whether message fed or user entered. What do you need from a reinsurance software solution? With increased soft market conditions, third party competition and innovation methods of primary insurers to contain risk, you’ll be all too familiar with the growing list of challenges that conventional and retakaful reinsurance companies now face on a day to day basis. In order to overcome these challenges, reinsurers are striving to achieve operational excellence. At Eurobase we have been helping clients for 30 years to do just this. Many of our clients rely on our personal approach to ensure their systems meet their business needs. A single unified view of your customers, including managing activities and opportunities. View limit and aggregate erosion, picture your risk exposure, monitor capacity allocation, calculate your forecast earned position and net claim retention. Determine the optimum risk retention, perform "what-if" analysis and be alerted to business anomalies. Cut transaction & processing times by 50% and reduce costs up to 30%. Grow GWP volumes without increasing headcount. Straight through processing and electronic messaging for greater flexibility to aid growth. A complete business platform that allows you to integrate with other applications. 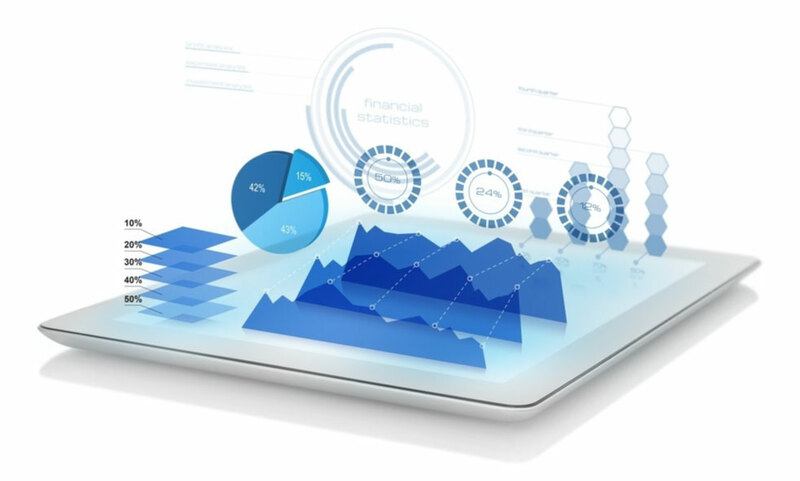 synergy2 brings a wealth of real-time management information and business intelligence to your fingertips - allowing you to focus your time on your business rather than your data. As companies evolve, so too does the technology that underpins their operations. Over time this typically results in disparate systems which are not fully integrated and do not deliver the operational efficiency, performance indicators, and management overview which is becoming increasingly critical for businesses to be successful in today’s economic climate. The synergy2 platform enables (re)insurance companies to harmoniously bring together the technology used across their operational landscapes – all within a single, integrated platform. 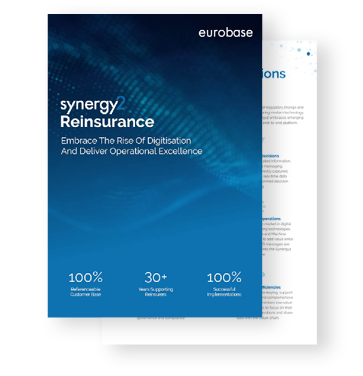 We selected Eurobase, as its synergy2 system makes the complex task of making Non-Conventional and Conventional reinsurance business work on one single platform both straightforward and simple. Additionally, its Insurance Solutions team has significant experience in our business, and rapidly understood and met our requirements. This implementation provides us with a strategic and operationally effective underwriting platform for key aspects of our business.